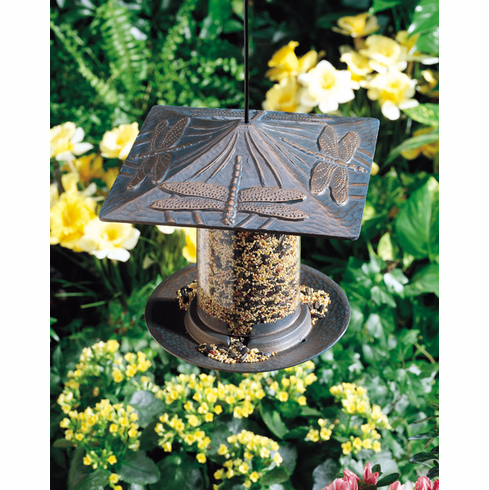 Our 6" Dragonfly tube birdfeeder is a very popular size. They can be hung easily almost anywhere around your home, patio or garden. The metal canopy and perching tray are made from rust-free aluminum and available in three colors.